Most cod is sold particularly on Good Friday, when fish is traditionally eaten, especially in the Catholic regions of the world. The majority describes its taste as unique and particularly delicious. It is a mild fish that contains more firm “muscle meat” than other fish. That’s why it lends itself perfectly for the preparation in a skillet. Enjoy within a few minutes the tender white flakes of juicy cod, with nice and light flavor, that is healthy and exquisite. 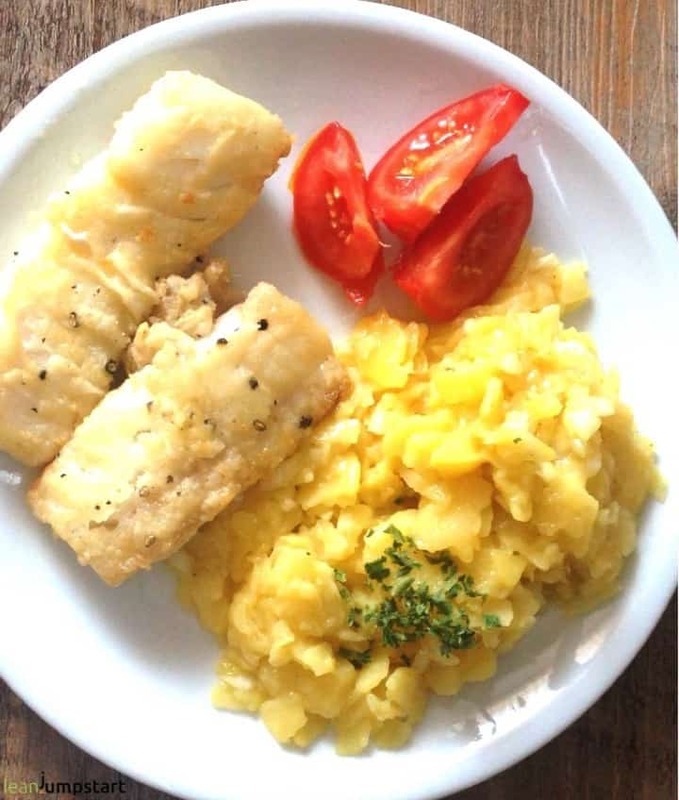 This recipe is very simple to do at home and it is the way cod and similar white fish are often cooked in restaurant kitchens. I admit I do it a bit different…The correct culinary terminology would probably be pan-seared cod as I’m searing the fish in little oil and not frying it in an oil bath. Besides of pan-searing you can of course also bake, steam or grill your fish fillet. Fish is an excellent source of protein by nature and therefore enjoys a great deal of popularity in any meal constellation. Cod stands out, in this context, because it is cheaper than other types like e.g. salmon, but still provides protein of the highest quality. One kilogram of cod contains about 170 grams of protein. 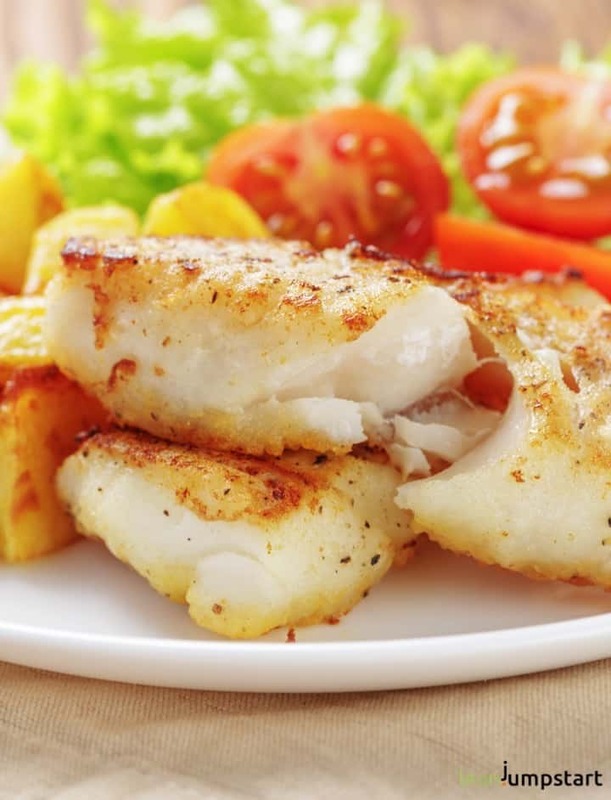 With less than 1% fat, cod is also a great fish for weight management. In addition, trace elements and minerals are abundant. Especially in regard to fluorine, selenium and iodine cod is at the top of the list. Most fried cod recipes will call for oil with a high smoke point like canola oil which is usually processed and not clean. Others call for melted butter. I’m using for most of my clean eating recipes olive oil and I feel it works for this pan-seared recipe too. There are some other tricks to ensure some extra crispiness I’ll share with you below. For this recipe it is important that you have either fresh cod fillets or you thawed your frozen fish in your fridge for at least 5-6 hours. You can use cod with skin or without. I’ve used the skinless version. Wash your fresh or thawed fillets under current cold water and dry them with a paper towel. Add some sprinkles of lemon juice to the oil versus the end of the searing process. Don’t fry the fillets longer than 4 minutes on each side. As you might have noticed, I’m using white flour for this recipe that usually should be avoided in a “clean eating kitchen”. But as you might know, I’m not a 100% clean eating advocate but prefer instead the 80/20 approach. The flour mix is essential for keeping fish firm and crispy – it forms a protective coating. You could also use whole grain flour instead. For best searing results I recommend to use a cast iron skillet or a stainless steel skillet. I’m used to eating fish meals on Fridays since my early childhood. Even nowadays we have seafood at the end of the workweek. Our favorite meal is a salmon dish but from time to time I cook simple, less expensive cod fish recipes. I serve pan-fried cod mostly with a mayo-free German potato salad (see picture below) and/or cucumber salad. That way we enjoy a light meal that is even appropriate for weight management. Cod lives across the North Atlantic, in the North and Baltic Seas and in the northern Pacific. It used to be one of the so-called breadfish because of its abundance. Today, most stocks are massively threatened by overfishing. It should therefore rarely be served, and according to the current Greenpeace recommendation, only if it originates from the North-East Atlantic or North-East Pacific. How long does uncooked cod last in the fridge? Cod should not be stored for too long at home. The special structure of the meat offers an ideal environment for bacteria. Therefore I highly recommended to prepare it as quickly as possible. Don’t store it in the fridge for more than 36 hours. You should also make sure that the fish is cooled during transport, from the point of purchase to your own home. Now it’s your turn! What is your preferred cod recipe? Share it with us in the comment section below! 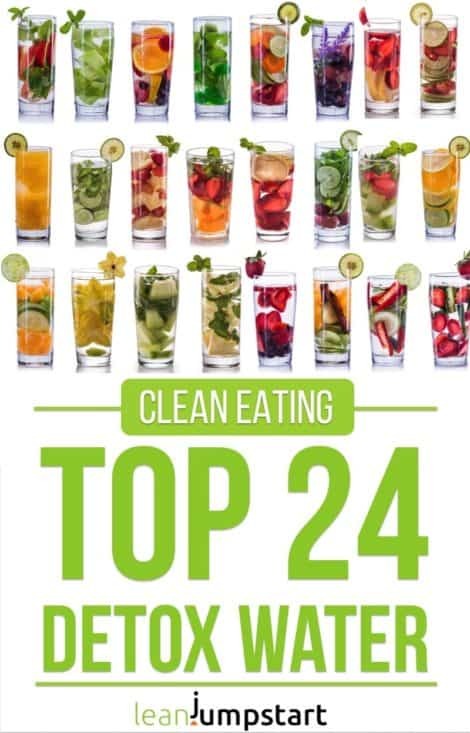 Did you know that simplifying your clean eating habits for weight management is a crucial part of my 52 Chef Habits Ecourse, featuring the best clean eating fish recipes that are quick and easy to prepare. Click here to learn more! Gabi, it looks perfect and tasty! Can’t wait to have this anytime of the day, love it! You are welcome Olga. Make sure to give it a try soon! That looks perfectly cooked and I like to keep it simple when it comes to the seasoning too. Thank you, Danii. I have the same approach regarding seasoning – keep it as natural as possible. we love cod and lemon together is perfect. I actually am getting some fresh today living in Florida we get it shipped here daily from up North so this recipe is perfect ! Hey Claudia, you are really lucky that you can get so super fresh seafood from the North shipped to your region. Enjoy the recipe! I love fish – love! My daughter and I are the only ones in my family who like fish so I’m going to give this recipe a try! Hey Mary, I’m glad that my recipe could inspire you. Wishing you and your daughter a tasty seafood dish. Although I eat mostly plant-based, fish for me is the rare exception – especially because of all the valuable Omega 3 fatty acids. What a great healthy and simple recipe! Yum, I love all types of fish, so I will have to give this a go. Great photos too. Cheers! Thank you for your kind words, Adrianne. I love to keep my recipes as healthy and as simple as possible. Enjoy your protein-rich meal! This is perfect! Simple is best with fish I think. I love the idea of adding lemon to the oil, will have to try that. Great post. Thank you Michelle. As a minimalist, I love to keep things simple. Adding lemon to the oil is the little thing that makes or breaks a great seafood dish. Make sure to try it soon, you won’t regret it! I love your easy oven baked cod recipe. Thank you for the inspiration, will give it soon a try. I think its even lower in fat and must taste delicious with the white wine base. Thank you for sharing! I used arrowroot powder in place of the flour and zested half an orange I had left from another recipe. It was delicious! Hey Rosalie, you are welcome! Thank you for sharing your variation with arrow powder and orange. I can imagine that it was very tasty. You are very welcome, Rebecca. I’m glad that you enjoyed my cooking and safety tips. I actually have fish on the menu for dinner tonight! I appreciate all the tips you gave, especially adding lemon juice to the oil before cooking. You are very welcome, Mary. Yes you should try this cod recipe, you won’t regret it. This cod recipe looks so tender and Juicy and definitely delicious. I don’t really like fish ( weird I know) but this cod makes me want to dig in. Great recipe! I love to use cod in soups and stews – love a good fish chowder! Thank you Danielle, I’m glad that you like my fish recipe. Yes, cod is also perfect for soups and stews. Our favorite cod recipe is first sautéing veggies of your choice in butter and white wine and as they begin to get tender, place the cod which has been salted and peppered on top of the veggies. Cover and let cod steam to perfection and serve over brown rice flavored with any spice you like. I like Malay mixed spice but any you like works well.